Sally Line (sometimes referred to as Sally Ferries) was a British ferry operator on the English Channel operating passenger and freight sailings from Ramsgate to Dunkerque. Sally Line was founded in 1981 as a subsidiary of the Finland-based Rederi Ab Sally. Rederi Ab Sally, including the Sally Line UK operations and Port Ramsgate were sold to Effoa and Johnson Line, the then owners of Silja Line. The Belgian ferry operator Regie voor Maritiem Transport (RMT) transferred their Dover to Ostend ferry service to Ramsgate in January 1994 with Sally Line acting as their UK partner. On the 20th September 1996 it was announced that the nationalised RMT would be broken up and replaced by a new private company. The new private company was formed which was owned two thirds by Holyman and one third by Silja Line (Sally Line). Trading as Holyman Sally Ferries, the joint venture operated a high-speed passenger service from the Port of Ramsgate to Ostend and later to Dunkerque, replacing Sally Lines traditional ferry service to the French port. Sally Ferries freight activities didn’t form part of the joint venture and continued to operate as Sally Freight. Following substantial financial losses Holyman Sally Ferries were restructured in 1998. Holyman eventually became partners with Hoverspeed and the Ostend passenger service was transferred back to the Port of Dover. Sally Direct was a ferry company launched by Sally Line on the 29th July 1998 following the demise of Holyman Sally Ferries, however, the service failed to attract the passenger levels required to make a profit and it was duly closed on the 20th November 1998. Sally Freight also ceased operations on the same day with the parent company Neptune Maritime (Silja Line) deciding to concentrate on their core Baltic routes. 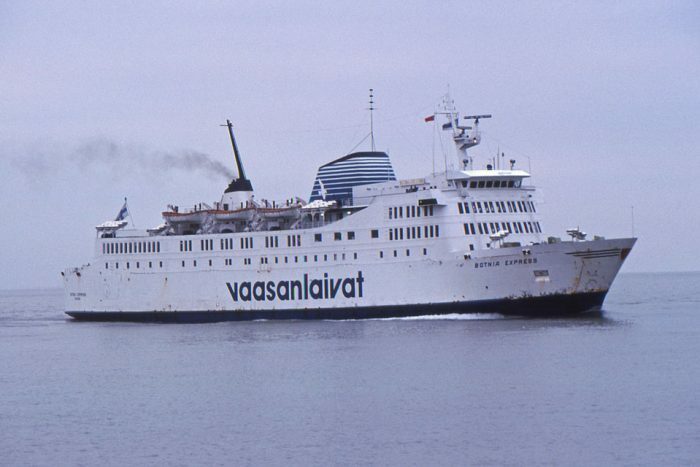 The company ceased all ferry operations in 1998. MV Sardegna Bella, ex Moby Dream, Viking 6, Sun Express, Sol Olympia, Viking 6, Goelo, Viking 6, Wickersham, Stena Britannica – Steel twin screw motor vessel built in 1967 as a passenger and vehicle ferry by A/S Langesund Mekaniske Verksted, Langesund, Norway (Yard No 55) for Stena Ab, Göthenberg. MV Noor – ex Barakat, St Clair, Treg, Tregastel, Njegos, Travemunde – Steel twin screw motor vessel built by Schichau Unterweser AG, Bremerhaven in 1971 (Yard No 478) for Moltzau Line A/S, Gedser, Denmark, as a passenger, car and commercial vehicle roll-on roll-off ferry.